A pioneering trial of a new treatment derived from stem cells for people with ‘wet’ age-related macular degeneration (AMD) has commenced at Moorfields Eye Hospital following a successful operation on a patient. This first operation is a major milestone in the London Project to Cure Blindness, which was established 10 years ago with the aim of curing vision loss in patients with wet AMD, and is the result of a partnership between the hospital, the UCL Institute of Ophthalmology, UCL Business PLC and the National Institute for Health Research (NIHR). Pfizer Inc. joined the partnership [in 2009] with the goal of helping to turn the original idea into a potential therapy. 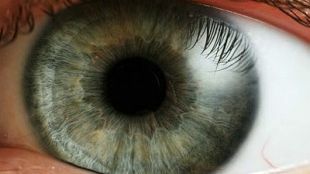 The trial is investigating the safety and efficacy of transplanting eye cells (retinal pigment epithelium) derived from stem cells to treat people with sudden severe visual loss from wet AMD. These cells are used to replace those at the back of the eye that are diseased in AMD. This is done using a specially engineered patch inserted behind the retina in an operation lasting one to two hours. The first surgery was successfully performed on a patient last month and there have been no complications to date. The patient wishes to remain anonymous, but the team hope to determine her outcome in terms of initial visual recovery by early December (2015). “There is real potential that people with wet age-related macular degeneration will benefit in the future from transplantation of these cells,” says retinal surgeon Professor Lyndon Da Cruz from Moorfields Eye Hospital, who is performing the operations and is co-leading the London Project. The trial will recruit 10 patients in total over a period of 18 months. Each patient will be followed for a year to assess the safety and stability of the cells and whether there is an effect in restoring vision. Professor Sir Peng Tee Khaw, Director of the National Institute for Health Research (NIHR) Biomedical Research Centre based at Moorfields Eye Hospital and the UCL Institute of Ophthalmology, added: “We are delighted to be the site for this very exciting new clinical trial in stem cell therapy, which has the potential to give hope and make such a difference to the lives of people with blinding retinal conditions,”. Macular degeneration accounts for almost 50% of all visual impairment in the developed world. It usually affects people over 50 years of age and is known as age-related macular degeneration (AMD). It affects around 25% of over 60s in the UK, a figure that is set to increase. In people with AMD, the central (reading) vision is affected and the surrounding vision remains normal. There are two types of AMD, wet and dry. Wet AMD is generally caused by abnormal blood vessels that leak fluid or blood into the region of the macula, in the center of the retina. Wet macular degeneration almost always begins as dry macular degeneration. Dry AMD is the most common type of macular degeneration and affects 90% of the people who have the condition. In the dry form, there is a breakdown or thinning of the layer of retinal pigment epithelial cells (RPE) in the macula. These RPE cells support the light sensitive photoreceptor cells that are so critical to vision. There is no treatment at present for dry AMD. NIHR Biomedical Research Centre at Moorfields Eye Hospital NHS Foundation Trust and UCL Institute of Ophthalmology was established in April 2007 and awarded a second five-year term by the NIHR from April 2012. Its purpose is to conduct ‘translational research’ that is designed to take advances in basic medical research from the laboratory to the clinic, enabling patients to benefit more quickly from new scientific breakthroughs. Our centre is currently one of 11 biomedical research centres that were awarded in 2012 to NHS/university partnerships with an outstanding international reputation for medical research and expertise, and experience of translating that research into the clinical setting. Moorfields Eye Hospital NHS Foundation Trust is one of the world’s leading eye hospitals, providing expertise in clinical care, research and education. We have provided excellence in eye care for more than 200 years and we continue to be at the forefront of new breakthroughs and developments. We are an integral part of one of the UK’s first academic health science centres, UCL Partners, and now we are part of one of the first science health networks. We were one of the first organisations to become an NHS foundation trust in 2004. UCL Institute of Ophthalmology is one of a number of specialised research centres within UCL (University College London) and is, together with Moorfields Eye Hospital, one of the leading centres for eye research worldwide. The combination of the Institute’s research resource with the resources of Moorfields Eye Hospital, which has the largest ophthalmic patient population in the Western World, opens the way for advances at the forefront of vision research. The National Institute for Health Research (NIHR) is funded by the Department of Health to improve the health and wealth of the nation through research. Since its establishment in April 2006, the NIHR has transformed research in the NHS. It has increased the volume of applied health research for the benefit of patients and the public, driven faster translation of basic science discoveries into tangible benefits for patients and the economy, and developed and supported the people who conduct and contribute to applied health research. The NIHR plays a key role in the Government’s strategy for economic growth, attracting investment by the life-sciences industries through its world-class infrastructure for health research. Together, the NIHR people, programmes, centres of excellence, and systems represent the most integrated health research system in the world. At Pfizer, we apply science and our global resources to bring therapies to people that extend and significantly improve their lives. We strive to set the standard for quality, safety and value in the discovery, development and manufacture of health care products. Our global portfolio includes medicines and vaccines as well as many of the world’s best-known consumer health care products. Every day, Pfizer colleagues work across developed and emerging markets to advance wellness, prevention, treatments and cures that challenge the most feared diseases of our time. Consistent with our responsibility as one of the world’s premier innovative biopharmaceutical companies, we collaborate with health care providers, governments and local communities to support and expand access to reliable, affordable health care around the world. For more than 150 years, Pfizer has worked to make a difference for all who rely on us. To learn more, please visit us at www.pfizer.com.